The People’s Pension has over 4 million members and is one of the largest master trust workplace pensions in the UK. We provide pensions to people from all walks of life. The People’s Pension is run by not-for-profit organisation, B&CE. With over 30 years’ experience, B&CE has provided workplace pensions to employers, large and small. We’re used to making pensions simple. And in November 2011 B&CE launched The People’s Pension as an additional product to help employers comply with their automatic enrolment duties. If you’re with The People’s Pension, we’ll be here to help you along the way, from start to finish – from setting up a workplace pension scheme as an employer, to planning your retirement as an employee. A master trust is a multi-employer scheme, run by trustees. The People’s Pension is a multi-employer scheme with independent trustees and is operated on a not-for-profit basis. It’s a hassle-free, flexible and portable workplace pension designed for people, not profit. And it’s suitable for any organisation, large or small, in any sector. The People’s Pension was the first master trust to report on its governance and administration arrangements in accordance with the Institute of Chartered Accountants of England and Wales’ (ICAEW) new assurance framework for master trusts. The People’s Pension is run on a not-for-profit basis – we’re for people, not profit. What does ‘not for profit’ mean? It means we have no shareholders to answer to and so we use any profit we make to improve our products and services for our members. The People’s Pension has a Defaqto 5 Star Rating. Defaqto ﻿is an independent financial research company focused on supporting better financial decision making. Our call centre was awarded Top 10 for Customer Service at the Top 50 Companies for Customer Service. 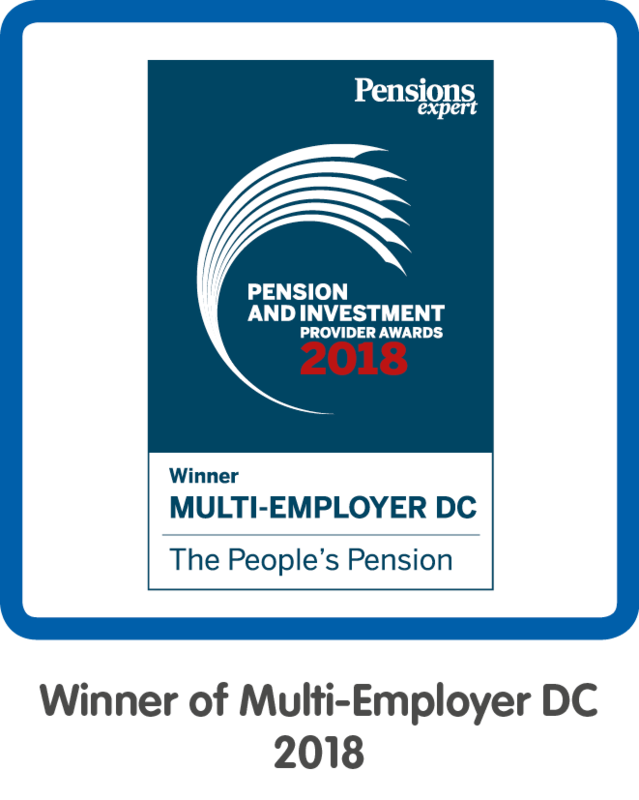 Run by independent trustees and administered by B&CE, a company with a proven track record, The People’s Pension is suitable for employers of any size in any sector. Each employer has its own section of the scheme. This allows you to customise your own contribution rates and payment dates for different groups of employees, if you’d like to. You can set up your contributions as simply or as varied as you need. Using our secure portal, files can be submitted from your payroll software to us, where we will allocate contributions to employees’ pension pots. Employee contributions, along with contributions from you as their employer and tax relief from the government, are invested in a member account in the employee’s name. Members can choose to remain in our default investment option throughout the life of their account and their pension savings will automatically move to more secure investments as they approach retirement. Alternatively, members can choose from a concise range of investment profiles or choose an investment fund (or funds) themselves. Members can choose their investment options, and make any other changes, through their own dedicated member portal. Our 0.5% annual management charge applies to each member’s pension pot. This simple and transparent charge is 50 pence a year (0.5%) for every £100 of the value of each member’s account. The People’s Pension is an occupational pension scheme defined contribution master trust and therefore does not have a financial strength rating. Its trust-based structure is intended to deliver a level of member security since the scheme’s assets are kept quite separate from creditors in the event of failure of any party. The People’s Pension is a trust-based defined contribution scheme, registered with HMRC and The Pensions Regulator. The People’s Pension Trustee Limited is the Trustee of the Scheme. The Trustee is responsible for the investment of members’ pension accounts held within the Scheme in accordance with any instructions from members. Our values support our objectives as a not-for-profit organisation – we’re for people, not profit.